The Internet is plagued with a plethora of problems. First, hidden cybercriminal groups are working from the shadows, targeting millions of internet users for their data and earning billions in the process. There’s also the government and ISP monitoring problem that is prevalent in especially those regions that come under the UKUSA agreement. Plus, online censorship and geo-restrictions are amongst the added problems that limit users from accessing the content of their choice. The only tool that enables users to fight off these problems and browse the Internet with as less friction as possible is a virtual private network. 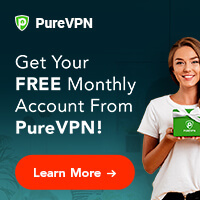 One VPN service that holds a prominent reputation and position in the industry is PureVPN. From extensive network coverage to dedicated security and privacy features, PureVPN provides a one-window solution to all the problems. Let’s get down to the review and learn more about the VPN service. The first plan of the VPN service starts off on a monthly basis. The current monthly plan is offered at $10.95, which is certainly a bit pricy. The monthly plan is best for users who want to use the VPN for short-term purposes only. The next plan is the 1-year plan which is mostly used by users who are although savvy VPN users but don’t want to commit for more than a year unless they change their mind and upgrade the plan. Anyway, the original cost of the yearly plan is $131.4. However, the yearly plan is currently sold at 63% off which means you get to pay $4.08 per month or $49 per year. For the committed VPN users, PureVPN also offers a 2-year VPN plan. 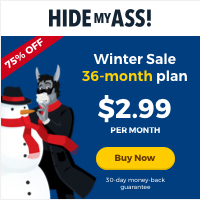 Though the original price of the biannual plan is $262.8, users can now get it at 73% off, i.e., $2.88 per month, or $69. The best aspect of the VPN service is that it offers a plethora of payment options for the ease and convenience of the users. The payment modes include Bitcoins, Paypal, credit card, Gift cards, and more. Regardless of what you buy from online shopping portals or brick-and-mortar shops, what you fear the most is your money being spent or wasted on a product that fails to meet your expectations. It is because of this reason that users look for a money-back guarantee. PureVPN is amongst the rare few gems in the industry that offers a user-friendly refund policy. For starters, the VPN service offers a 31-day money-back guarantee which means you have more than enough time to check the product and see if it fulfills your needs. Secondly, the VPN service clearly states in its refund policy that they will first try to resolve the problem. However, in the event they fail to do so, they would refund the money without delay. Apart from the name, email address and payment method details that are used in customer interaction, order processing, and emails, the VPN service collects the details of the day the user connects to any specific VPN location and the name of the ISP. The VPN service claims that it is the “bare minimum” details that are used for troubleshooting problems, technical assistance and more. PureVPN is considered amongst the rare few in the VPN industry that offers users a pretty extensive network coverage. 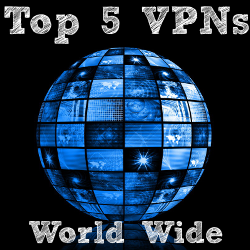 At present, the VPN service covers Asia, Europe, North America, Central America, South America, Oceania, and Africa. The VPN service covers 140 countries and 180+ cities across the continents. Collectively, it owns and operates 2,000+ VPN servers and 300,000+ IP addresses. Similar to other VPN services, PureVPN also offers military-grade encryption. The VPN uses the 256-bit AES encryption algorithm to protect users’ data. Furthermore, it uses multiple security protocols for the VPN connection such as OpenVPN, PPTP, SSTP, L2TP/IPSec and IKEv2. Depending on the protocol, users can choose between a 128-bit connection and 256-bit encryption. Users can either set the protocols manually via the application client or set it to automatic. Internet Kill Switch is one of the most important features offered by VPN services. Likewise, you can expect the same feature in PureVPN’s client software. The feature keeps the anonymity of the user intact by killing all the VPN activities in the event the VPN connection drops. Users can toggle on the feature from the Settings. Split Tunneling is a great feature to have with a VPN. The feature plays a great role in helping you experience seamless VPN connectivity, accessibility, and speeds. Basically, it allows a VPN user to split the network traffic between the VPN connection and the non-VPN connection. Currently, PureVPN offers up to 5 multi-logins with every account. It means, you only need to subscribe to a single PureVPN account and use the VPN on up to 5 devices simultaneously. IP leak is a serious problem with some VPN services, especially freemiums. However, PureVPN alleviates the IP leak worries of the VPN users by offering IPv6 Leak protection. The IP leak protection feature ensures that users’ actual IP doesn’t get leak while using the VPN. Apart from IPv6 leak protection, the VPN service also provides users DNS leak protection and WebRTC leak protection. For the ease of the VPN users, PureVPN rolled out its browser extensions a few years ago. Currently, you can set up the VPN extension on Google Chrome and Mozilla Firefox. The browser extension offers a handful of VPN locations and unblocks over 25 most popular streaming services namely Netflix (US/UK), Hulu, Amazon Prime, and Skygo Live to name a few. The good thing is that users can use the desktop credentials on the browser extension and unlock all the features of the VPN service without paying any added amount. Users can easily setup PureVPN on 25+ devices including but not limited to Windows, Android, iOS, Mac, Linux, Routers, Gaming Consoles, Roku, Kodi, Smart TV (Android and Apple), Amazon Firestick, Chromebook, and more. Furthermore, users can easily set up the clients on their desired devices with the help of easy-to-follow tutorials that are available on its Support Center. The VPN service doesn’t put any data cap on its bandwidth. It means users are allowed to browse, stream, download and upload any volume of data they want. Apart from the features discussed above, PureVPN users can get their hands on some extra add-ons for more functionality and ease. PureVPN is one of the two services in the industry that offers a Dedicated IP feature. Good news is that you can get a dedicated IP at a fairly lower price. The bad news is that you can’t get the Dedicated IP separately. In other words, you need to buy the VPN plan to get a static IP. Moreover, the VPN service offers dedicated IPs from a handful of top countries such as the US, the UK, Canada, Singapore, Australia, Hong Kong, etc. You can also get a Dedicated IP with DDoS protection for a few extra bucks. Online gamers, webmasters and tech-geeks will love the Port Forwarding feature offered by PureVPN. Users can visit the website or the Support Center to learn more about the feature, how it works and how they can set it up. PureVPN’s customer service is highly responsive, regardless of what medium you use to contact the service. Currently, you can get in touch with the support center of PureVPN through the Live Chat system on its website or email. All in all, PureVPN is a great VPN service to try. And with its 31-day refund guarantee, you don’t even need to worry about your money at all.